On Thursday 4 April 2019, the ROCK project, EUROCITIES and Julie’s Bicycle organised a webinar on regulating the urban commons. Urban Commons consider urban space as a space of the commons - a space of social interaction and where resources are collectively owned or shared between or among communities' populations. These resources are said to be "held in common" and can include everything from natural resources and common land to software. In the new city governance model that is emerging, considering the city itself as commons, public authorities act as facilitator of the co-management structures throughout the urban territory and enable citizens to actively take part in the regeneration of their habitat, improve their lifestyle and develop the community they belong to. In his introduction, Professor Christian Iaione from LabGov told us more about the commons’ theories and principles and how they can be applied to urban governnance. We then explored initiatives and experiments that have been tested in three different cities: Bologna and Turin in Italy and Ghent in Belgium. 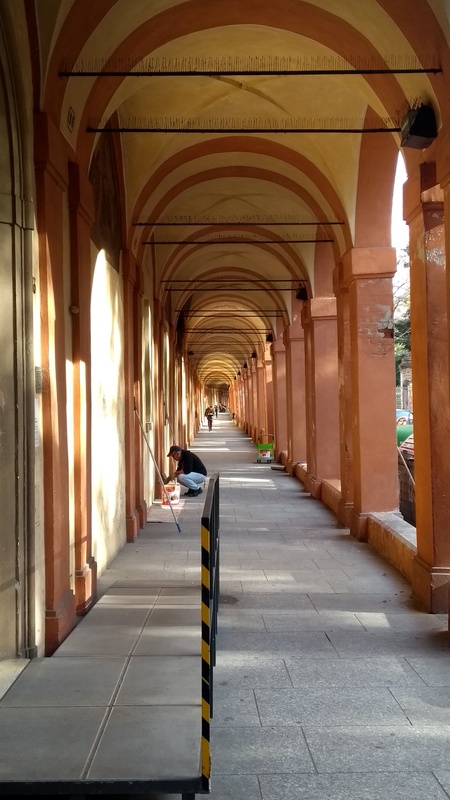 Bologna has been a front-runner in urban governance and collaborative practices, notably with its experience with the Regulation on public collaboration between citizens and the city for the care and regeneration of urban commons and with the legislation “Collaborare è Bologna”. This means that public administrations are not only governing on behalf of the citizens, but also with them. This model is based on the two concepts of city as commons and citizens as a source of energy, talent and creativity. Giovanni Ginocchini, director of the Bologna urban centre Fondazione Innovazione Urbana told us more about the regulation and the results it produced at local level since its first implementation in 2014. The reason why the Regulation of the Commons in Bologna gained so much attention was because it was the first of its kind ever being developed and was then adopted, with small variations, by a large number of cities in Italy, including Turin. Giovanni Ferrerro, project manager in the municipality of Turin let us know more about the Turin experience through a particular project: the CO-CITY urban innovative action. Bologna’s influence has crossed countries and also reached Belgium. The city of Ghent commissioned in 2017 a study that led to the Commons Transition Plan. The plan describes the role and possibilities for the city in reinforcing citizen initiatives. It documents the emergence and growth of the commons in the city of Ghent, offers some explanations of why this is occurring, and determines what kind of public policies should support commons-based initiatives, based on consultation with the active citizens in Ghent. Dirk Holemans from the think tank OIKOS told more about commons in Ghent and the city’s journey.